Horse racing is all about the money - huge amounts are made and lost each and every day. And probably at no other time has the racing been so competitive and plentiful. Lots of races, lots of opportunities. The Pureform Profit Performer (PPP) is all about opportunities and is available for customers and member of Pureform. It is about making consistent profit from the day to day runnings of the horse racing industry. So how does it work? Picking winners is a hard task, as is picking losers but for consistent profit making on a regular basis, laying horses with no real chance is one of the best options. This is the way most bookmakers make a living. This is the backbone approach for the PPP – potting short priced horses with little real chance. 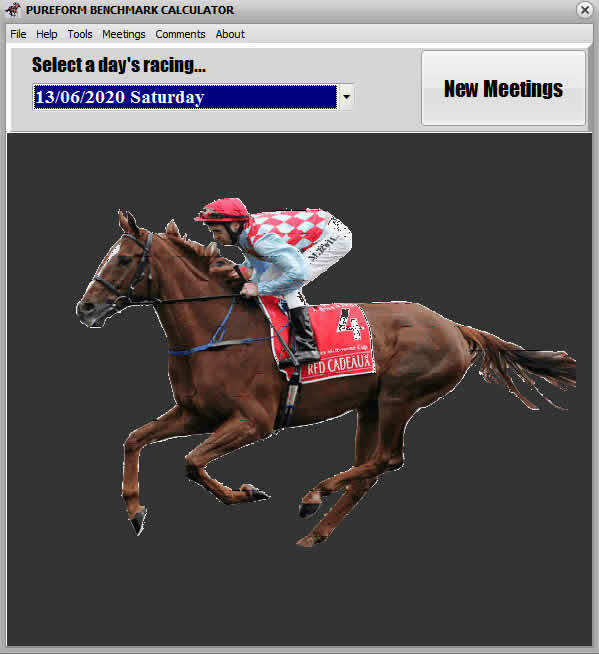 Additionally horses will be selected for win and place bets as they occur with the usual focus on value. PPP is usually saved for real estate – Position, Position, Position but this service is all about one thing only – Profit! Profit! Profit! Buy some real estate with the profit; negative gearing is still a winner. The PPP revolves around potting horses for the win, the place or the win and place using Betfair but is more. It’s about making consistent profit. It’s not a get rich quick scheme and there is no retirement plan or gold watch. What it offers is consistent profit. A mobile phone ready to receive SMS messages. A current funded Betfair account prepared for betting. Availability to place the bets. This is not and will not become an automated service. Automated systems often run into huge losses from one or two bad days. This service is about consistent profit. Nothing in life or racing is certain, or at least there’s only one certainty – more races. So under the “Sure Things”, these are as sure as possible. The Action category provides more wagers on a daily basis (including more win and place bets) which are as good as the sure things but for a number of reasons are not as good as the “Sure Things”, enough babble. Any of the above four options can be taken individually at $55 per week or $110 per week for the complete week’s service for either the Sure Things or the Action Account. The Sure Things are a subset of the Action category. When will the bets become available? Races of interest may be messaged near the start of the racing day and a likely first race time is sent but is subject to change. A few examples will help to understand the process. Horse A is in Race 1 in Melbourne and looks to be a good pot at its early market price of $2.50. Nearing race start time, Betfair has a price of $5 showing for that runner even after a late scratching. Great pot at $2.50, not so at $5. Result: no bet. Another race has a win bet possibility showing $5 in the early market. The runner is now priced at $2.50. Great bet at $5, not so at $2.50. Result: no bet. What if I'm not available to take the bets? Sure everyone doesnt have the time to wait for bets and in the process a few "side" bets can get in the way. Pureform for $110 will not only make the selections but also place the bets so basically you don't need to do anything but sit back and plan how to spend the winnings. Contact Pureform for more details. How many bets are there per week? There is usually 2 or more bets each day but some days, like some of the major carnivals, there is simply nothing certain at those meets, if anything in racing is certain. The one thing which is most important is maintenance of the punting bank or more specifically not having to add extra into the punting bank after betting on a bad day and then losing. Some days, it is better to not bet rather than betting and losing. Generally there are more than 2 bets on any normal day's betting with the aim to get the results early in the day and then retiring 'not out'. Can I check my results against yours? Results are emailed each week so you can plot your progress against the formal results. The aim is to try to get your results to be similar to the formal results and make the same amount of profit, not more, not less. Bottom line, the PPP is a profitable venture but losing days will and do happen. So we aim for $110 profit each day, some days we make less, some days more and there are losing days. Bottom line, a realistic figure following the rules as sent on subscription is around $300 - $400 per week. Some weeks more, maybe some weeks less but this has rarely happened. Certainly there have been and will be losing days so sticking to the rules not only maximises profit but limits losses. It is easy to make money on winning days, the trick is to minimise losses on losing days. So some days profit is not maximised, but losses and the bank are both maintained - very important. Reality is it is almost impossible to win every day on horse racing - some days horse racing offers such poor events that the pokies could be a better option. Losses on bad days must be kept in check otherwise all the hard work on good days is wasted.